popspot is a progressive communication mobile application. It uses geofence technology to detect users within your immediate locality. When a user is detected “In Your Bubble”, our app allows you to request a connection. Upon connection users virtually “Handshake”, sharing their emails and phone number while simultaneously connecting on all social media platforms. popspot offers an innovative B2B mobile marketing software as a Service (SaaS). The mobile application provides location-specific advertising aimed at driving traffic to your business. 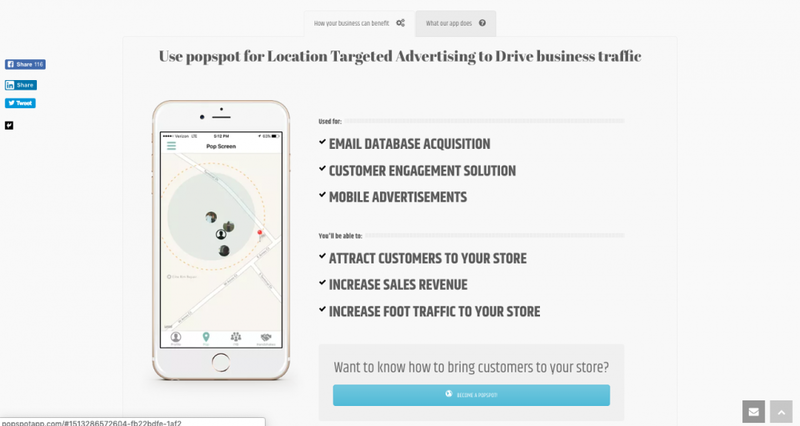 popspot offers a foot traffic-driven Social Map for your business, which provides location specific advertising aimed to drive traffic to your business. 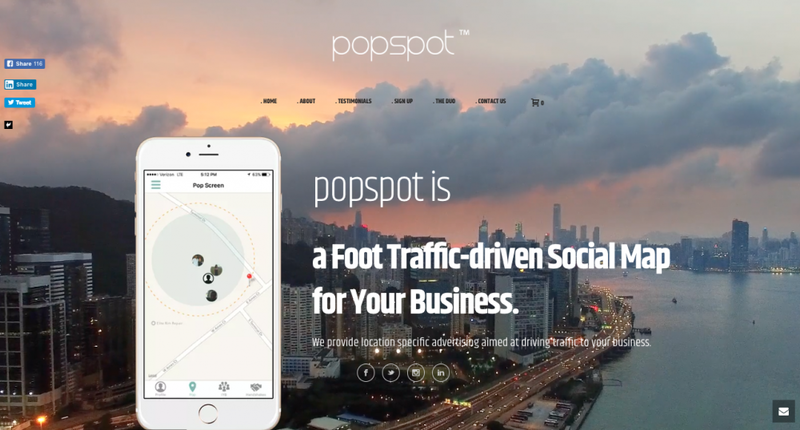 popspot Mobile App – A Foot Traffic-driven Social Map For Your Business. popspot is a mobile app project that we have worked on over the past three years. The UI/UX Design has gone through four iterations throughout project’s lifetime. Starting off as a self-funded startup MVP project, popspot has evolved through multiple user feedback-driven UI/UX Design overhauls. popspot obtained seed funding and continues to rapidly iterate its design and functionality to meet its user’s preferences and needs. We have worked on this project’s UI/UX, as well as the technical development of the mobile application. With our understanding UI/UX Design, and the constraints a technical team is often faced with, we are able to deliver a design package that will be prepared and organized with technical developers in mind. A heavy emphasis was put towards Content & Technical On-site SEO accompanied with many iterations of keyword research as the target buyer persona evolved throughout time. Techniques: Lean Startup, User Stories, Product Roadmap, Kanban, Rapid Iterative Approach, Minimum Viable Product (MVP), User Feedback-driven Development, Test-driven App Development, Agile Development, Waterfall-Agile Hybrid Development. Tools: Trello, Slack, Typeform, Balsamiq, Sketch, InVision, Google Analytics, Prezi, Powerpoint. Java for the natively-built Android Mobile App. NodeJS, Parse, and MongoDB for the server-side code and database. User Interface (UI/UX) Design using Sketch for an iOS and Android mobile application primarily used on a smartphone. Over the years we’ve worked on this project a combination of Adobe Photoshop, Adobe Illustrator, Sketch, and InVision have been used for design efforts. Google Analytics, Google Search Console, Google Trends, Google PageSpeed. Social Media Marketing (SMM) campaigns on Facebook, Instagram, Linkedin, and Twitter using Hootsuite. Email Marketing using Constant Contact before switching to Mailchimp. Digital Ocean for hosting the marketing website. Heroku for the main mobile app server infrastructure.